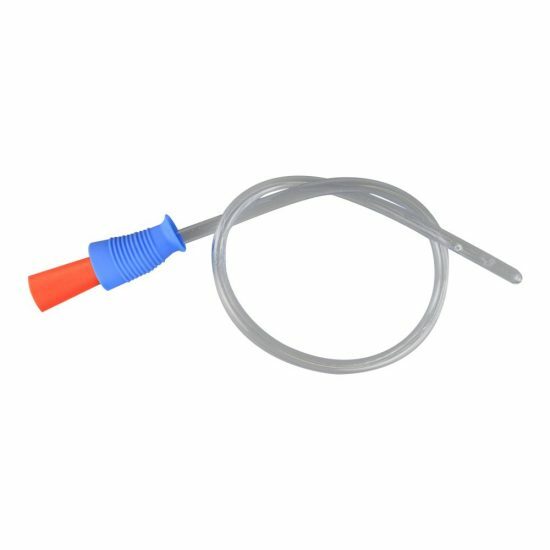 The sterile, single use Cure Ultra is a ready-to-use catheter for men with all of the convenience of pre-lubrication, but WITHOUT THE DRIP or mess. Plus, the Cure Ultra won’t kink if you bend it, and a case weighs less than our traditional hydrophilic! The Cure Ultra for men features a proprietary CoverAll application process for even distribution of lubricant over the catheter as it is removed from the package – making it ready-to-use with no resistance as you self-cath. Additionally, it includes a unique gripper sleeve for increased ease of use. The Cure Ultra for men is offered in 16″ length, 8FR -18FR. • High quality materials – not made with DEHP, BPA, or natural rubber latex – offer peace of mind. Learn more about the concerns with DEHP here. • The small, flexible package features an easy tear top and enables disposal of minimal material.